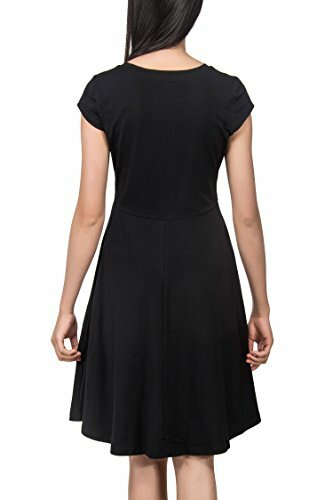 This midi dress is one of the basic essential items for women and ladies. it can be worn for any occasion. We are focused on delivering an exciting shopping experience and making sure that our high stndards of quality,value for money and service are always met. Besides, please allow 1" differ due to manual measurement. -In order to make sure our item could fit you well, please check the measurement details in our description before you order. Your understanding and support are highly appreciated. Thank you! 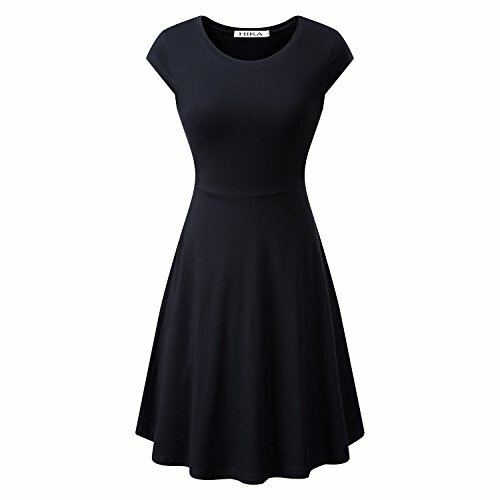 Soft, stretchy,breathable and skin-touch,makes you feeling well. 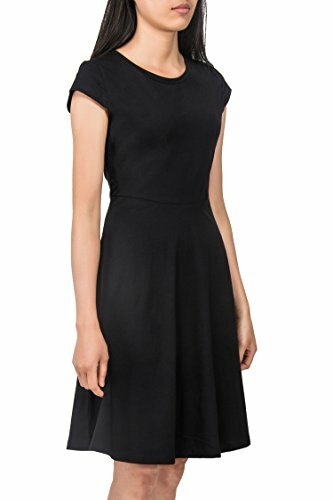 Cap sleeve, flared,a line midi dress,suitable for spring,summer and autumn. 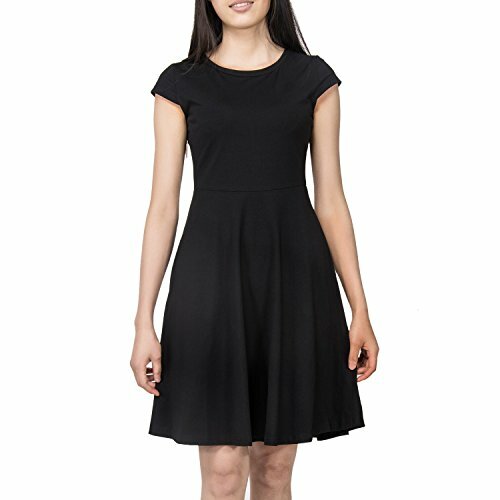 Simple but elegant design with knee length cut of this dress makes it suitable for all daily wear and formal occasions. Model Height: 5.7ft. BWH:(33/27/37INCH). 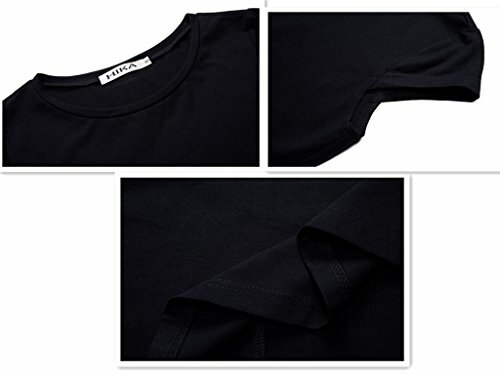 Wear size: M Please check the size chart in the production description to ensure your order.